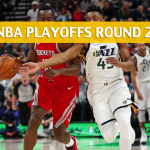 The Utah Jazz and the Houston Rockets meet again in the playoffs for the second year in a row. 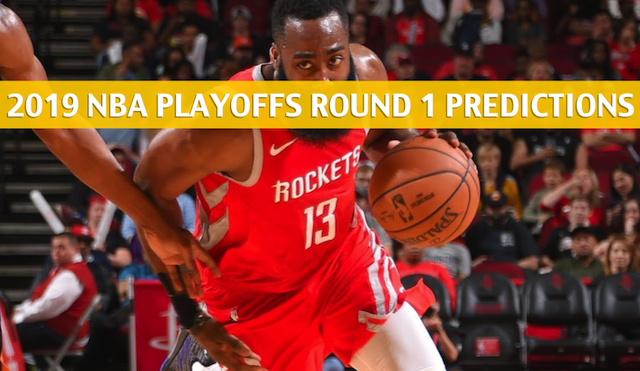 This is a classic matchup of elite defense against an excellent offensive team, and we will have plenty of idea what the tone for the rest of the series will be after Game 1, which takes place this coming Sunday in Houston. 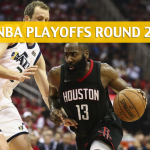 The Jazz are +6,000 to win the NBA title this year, while the Rockets are +800. 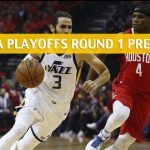 The Jazz will be out there looking to exact revenge on Houston, which eliminated them from last year’s playoffs. It’s almost the same team for Utah. But they will be led by a more mature and experienced shooting guard in sophomore Donovan Mitchell, who topped the Jazz in scoring in the regular season with 23.8 points per game. Then there’s also Rudy Gobert. The Stifle Tower has the ability to control a game without even scoring, as his ability to defend the rim and make the shaded area a fortress often throws opponents out of their rhythms. He’s a big reason why Utah ranked fourth in scoring defense with just 106.5 points allowed per game in the regular season and 10th in points in the paint surrendered per contest (47.7). That type of defense is very much needed in order to slow down James Harden. The Jazz are also a deceptively good outside shooting team. They ended the regular season 12th in the league with 12.1 treys per game on 35.6 percent shooting. Utah, which had two wins against the Rockets this season, is 4-1 against the spread (ATS) in its last five games. 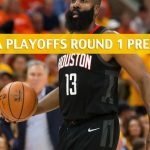 The Rockets have the second-best offensive rating in the league with 114.8, so as good as Utah’s defense is, Houston is that kind of team that could bend and break it. That said, Houston only scored 99.0 points per 100 possessions against the Jazz in the regular season. In any case, having James Harden is quite a luxury for Houston. Harden is playing like an MVP again, as he finished the regular season with averages of 36.1 points per game to go with 7.5 assists, 6.6 rebounds and a 44.2 field goal percentage. He’s even better when matched up against Utah. In four games against the Jazz, Harden put up 33.5 points on 46.6 percent shooting from the floor. It’s his supporting cast that needs to increase its production and effort. 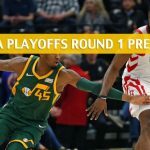 The Rockets are last in the league in bench scoring with just 27.0 per game, while the Jazz are 15th with 36.7 per contest. 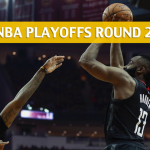 The Rockets have been money for spread bettors of late, as Houston is 7-2-1 ATS in its last 10 games. The Rockets are also 4-0 in their last four games at home.